Wasn't Waterworld a boxoffice bomb that lost money? There are a lot of income streams in the movie business. While Waterworld did not do a fantastic return in the US theaters the worldwide streams more than made up for the production costs. What does the tatoo on Enola's back say? Some translations have been made that go something like this. On the left, "weidu: bashiliu du, wushiliu fen," or "Latitude: 86 degrees, 56 minutes." On the right, "jingdu ershiqi du wushijiu fen," or "Longitude: 27 degrees, 59 minutes." These coordinates don't actualy align to a mountain range however so they are likely meant to only be a representation of a map never intened to be decyphered by the audience. 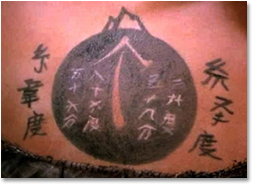 The original script had a much better art of the tatoo with a logical conclusion to be drawn from it. 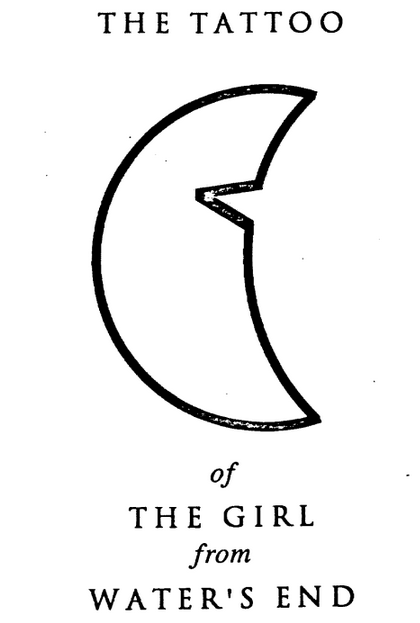 It is revealed eventially; to find dry land one must look for the peak in the Earths shadow on the moon. Perhaps this was too obvious. At the end of the film, where is dry land located? Not shown in the theatrical version but in the uncut version aired on television there is a plaque that Enola and Helen uncover as they watch the Mariner sail away. 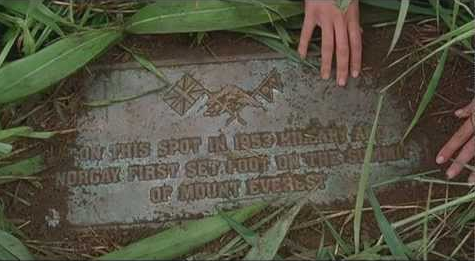 The plaque says Mt. Everest.